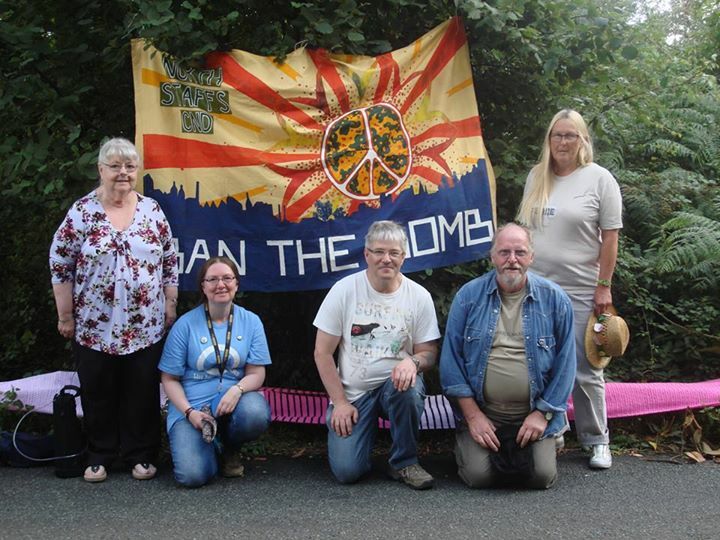 SCANS CND members took part in the Wool Against Weapons demo on Nagasaki Day, August 9th, pictured here with the section of the scarf made by members of SCANS CND and Stoke Quakers. 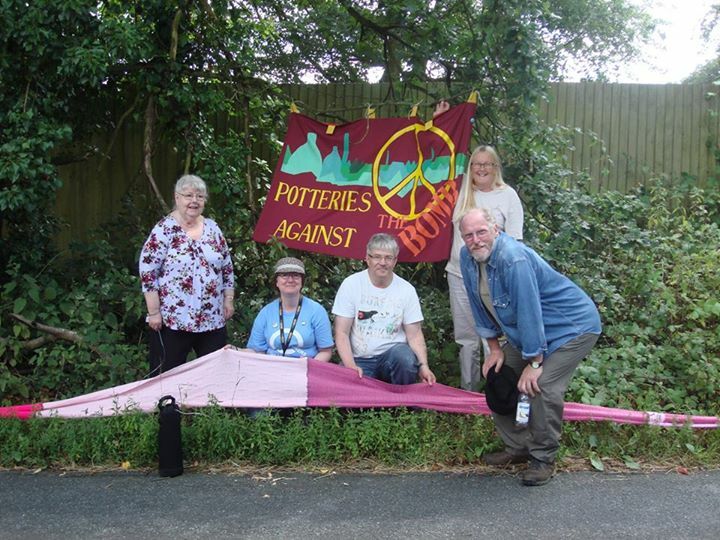 Join us for our Hiroshima Day stall and remembrance On Wednesday 6th August from 5pm outside Hanley Bus Station, Lichfield Street/Lidice Way, Hanley, Stoke-on-Trent, ST1 1RA. 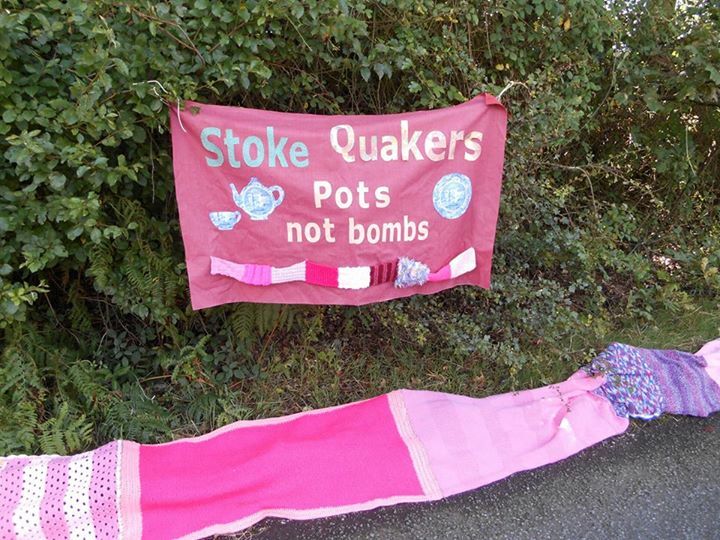 All CND members and supporters in Stoke-on-Trent and Newcastle-under-Lyme are cordially invited to attend this meeting, at which it is hoped to elect an interim committee and establish a programme of activities.